This high quality Project was taken hand in hand with Inmobiliaria de Guatemala. The design was adapted to the Crece building in its first phase. The idea was to build a two story mall with two and a half underground levels as well. All of them with recreational purposes for the residents of Condado Naranjo and Crece 1 and Crece 2 towers. The design of the mall is inspired by the look of a kaleidoscope, as a result a pattern can be observed in the floor, roof and facades of the complex. 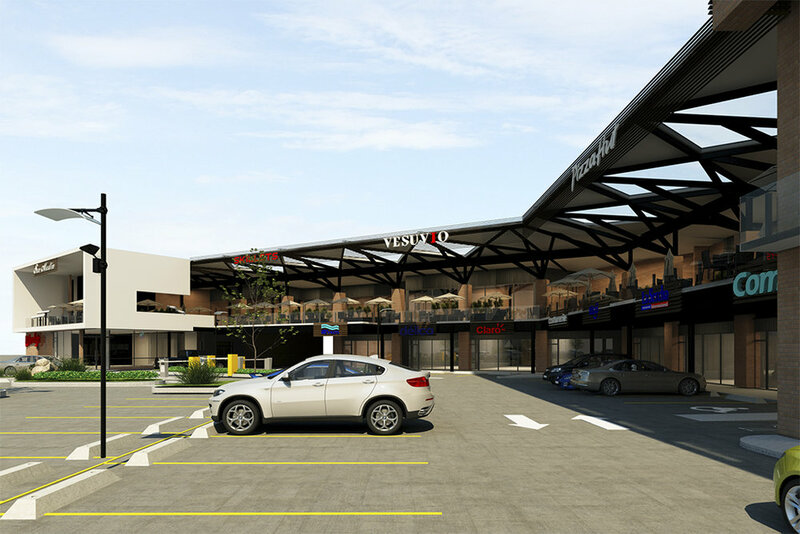 The overall concept of the mall is being an open space providing a better ventilation and natural light appreciation.